A family-owned, community-based coffee shop. We are a family owned cafe and have been in the neighborhood since May 2007. We want to thank all of our customers for helping to keep us in business. We would also like to invite new customers to stop in. Please introduce yourself, and enjoy a cup of coffee, a muffin, or sandwich with us! 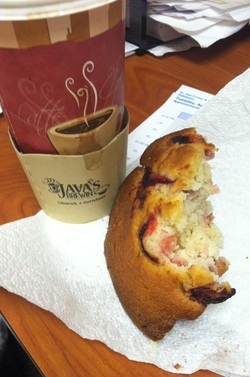 Java’s Brewin’ offers all of its customers Free Wi-Fi. We also have an all-pupose room that seats 16-20 people comfortably.